(CNN) -- A blow to the head that at first seems minor and does not result in immediate pain or other symptoms can in fact turn out to be a life-threatening brain injury, experts tell CNN. Immediate treatment is essential after a brain injury because damage caused by swelling is often irreversible. It's very common for someone who's had a fall or been in a car accident to appear perfectly lucid just after the impact but then to suddenly, rapidly deteriorate, Dr. Carmelo Graffagnino, director of Duke University Medical Center's Neurosciences Critical Care Unit, told CNN. Actress Natasha Richardson was talking and joking after she fell Monday during a beginner ski lesson, according to officials at the Canadian resort where she was staying. But soon after she returned to her room she complained of head pain and was taken to a nearby hospital, then to a larger medical center in Montreal. She was flown by private jet Tuesday to a New York hospital. She died Wednesday, according to a family statement. "A patient can appear so deceivingly normal at first," said Graffagnino, director of Duke University Medical Center's Neurosciences Critical Care Unit. "But they actually have a brain bleed and as the pressure builds up, they'll experience classic symptoms of a traumatic brain injury." Time: Could a helmet have helped? Patients are often unaware they've fractured their skull. In these cases, the fracture generally occurs just above the ear, in the temporal bone. "There is an artery that runs above the skull and can get torn and begin to bleed above the lining of the brain." Graffagnino says. "At that point all the pressure is pushed on the brain, causing it to swell but there is often no room for it to move inside the skull cavity. And as the pressure continues, it reduces blood flow to the brain and a patient would begin to feel the symptoms." The condition is commonly referred to as "talk and die" syndrome among neuroscience physicians and surgeons, because the patient can decline so rapidly. Graffagnino says the initial fall or injury doesn't have to be hard at all. The delay in symptoms can range from five minutes to three hours after the accident. If an individual isn't medically evaluated after a car accident, sports injury, or just a slip in the driveway, recognizing the signs brain injury early is critical. Nausea, severe headache, glossy eyes, sudden sleepiness, are all common symptoms. Getting to a hospital within the first few hours is critical to prevent permanent brain damage, experts say. An emergency room team can quickly determine the severity of your injury. An emergency craniotomy -- opening of the skull -- surgery is often needed to stop the bleeding and control brain swelling. Immediate treatment is essential after a brain injury because the initial damage caused by swelling often is irreversible. "One of the things we teach to trauma teams, is if a group of people are in a car crash and someone dies, we have to assume everyone else has serious injuries--even if they look good, and say they feel totally fine," Graffagnino said. Certain medications can increase a person's risk for hemorrhages, especially for the elderly. Doctors say even a small bump on the head can be dangerous for patients taking blood thinners, among other prescription drugs. "Talk and die" syndrome also can result from a subdural bleed, which develops between the brain and the dura. These bleeds can "squish the brain," Graffagnino said, and cause injury at a slower rate. A person can often feel normal for several days before feeling any symptoms. "You don't have to see external injury to have injury to the brain," said Dr Philip Stieg, chair of neurosurgery at NYP/Weill Cornell. To evaluate a person's response after a minor trauma, Stieg recommends checking the size of their pupils and asking questions such as the patient's name and what year it is. In the hours following, Stieg recommends monitoring the person's cognitive skills and to "bring them in to get a CAT scan" if there is a change in behavior. 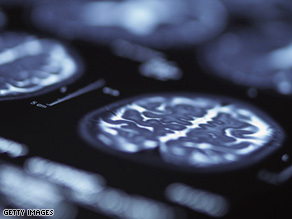 The brain also can be bruised after an accident, leaving patients with no symptoms or signs of a bleed at first glance. But the nerves surrounding the bruise can begin to stretch, causing what is known as an axonal injury. "The brain is like Jell-O. Imagine if you dropped a bowl of Jell-O on the floor and it looks intact at first but when you examine it really close, you can see it has teeny tiny cracks all in it," Graffagnino said. "Well the brain can have these tiny cracks that don't show up on initial CAT scan but will develop into problems down the line." Once surgeons stop a brain bleed, the next step is to monitor brain activity and check for permanent damage. A patient typically spends up to a month in a neuro-ICU. Patients who survive often spend the next several years in physical and cognitive therapy to regain function, according to experts. "The most important thing to do to lower your risk is to wear a helmet when you can, and don't brush off an injury because you feel 'fine' at first," Graffagnino said. "The thing that's going to save a life is for friends and relatives to recognize the first glimmer of a symptom. The quicker we can stop the bleed, the better."